The world of cricket has managed to evolve over the years in a manner where it’s completely transformed into a batsman’s game, while bowling has managed to take a back-seat. Due to more limited overs, batsmen are being forced to hit the ball across the park, while bowlers are being trashed which means they end up with horrible economy rates. This means that bowlers are required to step up to the demanding changes of the game and that’s exactly what a handful of bowlers have done. While cricket is turning into a more fast-paced sport, a need for fast-paced bowlers is a necessity as it makes it more difficult to judge the timing and length when the ball comes at you at a quicker pace. With that in mind, let’s take a look at the fastest bowlers in the world of cricket. Wahab Riaz is definitely at the top of our list due to his aggressive pace bowling, making him a key player when it comes to international cricket for Pakistan. He first appeared in the spotlight during a World Cup match against Australia in 2015 where he managed to decimate the betting setup for Australia, especially when he faced Shane Watson with his aggression and wrath. Although Pakistan lost the match, they managed to earn the fastest bowler in that game. Pat Cummings comes in at second place on our list. However, there’s still a long way to go in his career as a right armed fast bowler as he is only 24 years of age. He managed to achieve a mind-blowing 143 Kmph bowling speed during a One Day International. He is not only considered one of the fastest bowlers in the world but is also recognised as one of the best in the cricketing world. He is considered the answer to the legendary bowler, Brett Lee. Tymal Mills is a left-armed fast bowler and made his presence known during a destructive match against India in 2017. Although he is not the most popular name when it comes to English cricket, he certainly has the pace to be considered one of the fastest bowlers in the world. He has been playing for Sussex for several years and might even be considered for the England bowling setup for the next World Cup. Mitchell Starc, along with Pat Cummings, are the current weapons for the Australian bowling attack to replace the legendary duo of Jason Gillespie and Brett Lee. Starc is regarded as the most feared bowler in the world of cricket and managed to dominate his opponents in the Indian Premier League and the Royal Challengers Bangalore. Pollard and Dwayne Bravo to take care of batting and bowling, Gabriel has managed to impress everyone with his consistent pace bowling which seemed to revive the bowling attack for the team in recent years. The biggest drawback to being true to form on a constant basis is that no one truly knows what it looks like when you have a bad run. For Hashim Amla, who was in incredible form thanks to a 23.36 average spanning over 10 Tests in a year, this was a nagging problem as he experienced the gravest dip when it comes to form in more than a decade. The natural elegance, the definite wrist work, and the luxuriant cover drives from the number three batsman in South Africa is cricket’s answer to the renowned Bolshoi Ballet. The movements is so perfect, the technique is so unfailingly graceful, that when they fail to produce the necessary results it seems naturally predisposed. 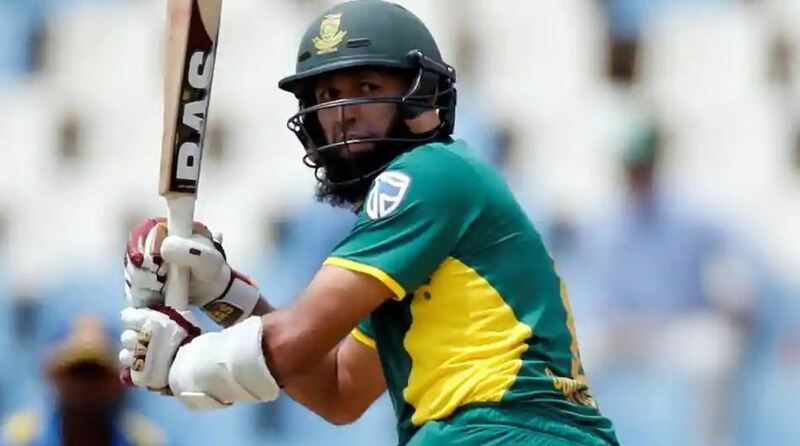 There were several discussions of his dip as being more like a decline as Amla, after all, has been playing international cricket for more than 14 years. He is also considered the oldest player in the National cricket team, at age 35. The ungainly, scratchy time he spent during the first innings while playing against Pakistan didn’t give the impression that he was a cricket player with his best years behind him. During his time in the South African cricket squad, one of the most successful and popular marketing campaigns when it comes to cricket teams was the #ProteaFire slogan that was developed to represent the aggressive combativeness of a cricket team that will never give up. It certainly caught the attention of the public, both abroad and at home, which is essentially a symbol of how the South African side plays the game, with passion on full display and their hearts on their sleeves. However, Amla who is one of the modern faces in the South African cricket team, is very far from the ‘fire’ the squad seems to showcase at the moment. However, playing international cricket for such an extended period of time does take its toll on any cricket player and once the motivation is completely lost, the sports is essentially over, regardless of how good you are. “Amla’s does everything exactly the same as the moment he walked into the team. That’s his trademark when you look behind the scenes. Whether he scores runs or doesn’t, his attitude and mental application remains the same even away from the game. He is an extremely calm and level-headed guy. He doesn’t get frantic at all, even when he doesn’t manage to score any runs. He merely believes that things will turn around eventually. Thankfully, the dip that cursed Amla recently seemed to disappear while playing against Pakistan. Once the ball lost its venom and shine, Pakistan were the ones that were blinking. Once he was back in form, Amla found himself improving constantly on the field and after South Africa lost several wickets during the Test, Amla was still standing as a solid rock for the South African team. 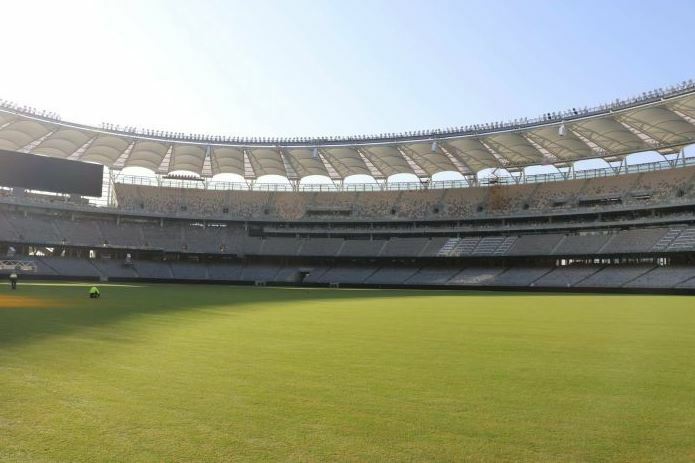 One of the most significant factors when it comes to the WACA Ground is undoubtedly the pitch, and the stadium in Perth in making its debut with intense anticipation around its pitch. Most of the questions that Virat Kohli had to answer during a press conference before the match revolved around the pitch. Brett Sipthorpe, the curator, stated that they attempted to deliver the bounciest, fastest pitch possible with no pressure to make the test match go the distance. One of the most curious things about the pitch in Perth is the amount of grass it has. The WACA Ground was previously known for its incredible bounce, but it used to be a brown, hard surface. The latest one will certainly add more movement to the bounce. India is truly excited over the new pitch. Earlier this year, they picked up loads of experience on a similar bouncy and quick pitch in Johannesburg. So bouncy that is was actually considered dangerous where play had to be stopped at times. With India’s quick bowlers, Kohli was nearly salivating when he though about playing on the pitch, especially due to the fact that the lush green grass wasn’t shaved off prior to the match. “I was extremely pleased to see the pitch in the condition it was and I sincerely hope no more grass is taken off from it,” Kohli stated. “This will ensure that the first three days will undoubtedly be very lively and the Indian cricket team is very excited about that. We merely need to challenge ourselves when it comes to batting and remain positive that our bowlers will achieve what they did in Adelaide. I believe the pitch in Perth is going to offer a lot more when compared to Adelaide. “We definitely get more excited as oppose to nervous when it comes to a lively pitch. We are completely aware that we have a strong bowling attack that has the ability to bowl out the opposition. With 4 or 5 bowlers at the peak of their careers, its definitely a great feeling to have. We also get much more motivation at batsmen when our bowling attack is so strong, allowing us to win more matches as well. 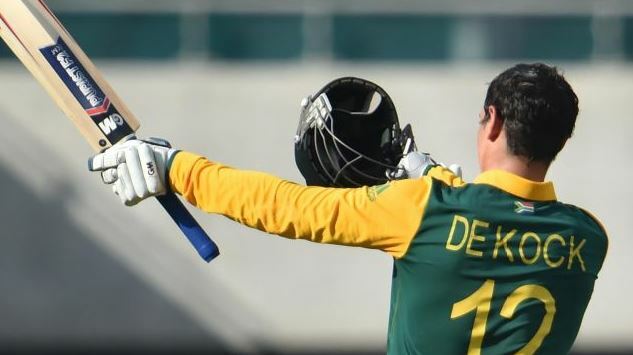 Quinton de Kock managed to obtain his fourth century during the T20 clash against the Tshwane Spartans in a game that could only produce two other batsmen that accumulated a score of over 30. Thanks to the amazing performance delivered by de Kock, the Cape Town Blitz team managed to win the game which means they are now 6 points against of the Nelson Mandela Giants in the T20 standings. On the other hand, the Tshwane Spartans suffered their 4th loss in a total of 6 games, leaving them to wonder how on earth they managed to lose by a mere 60 runs when they had Cape Town for 101 for 8. The pitch bothered both Janneman Malan and Quinton de Kock early on in the game due to its two-paced nature which managed to cripple the batsmen after the two openers who managed nearly 10 per over during the 83-run stand. The leg breaks that were introduced by Jeevan Mendis provided the necessary dismissal the Spartans were looking for. Shortly thereafter, Andile Phehlukwayo was bowled out by Corbin Bosch followed by two quick wickets by Sean Williams. And it didn’t stop there either. Batsman managed to fall quite rapidly against spin and pace with the pitch offering a dramatic change as the game continued. In fact, in just five overs, Cape Town collapsed to 8 for 18. De Kock seemed quite encouraged when Lutho Sipamla made his return, accumulating 16 runs from only four balls during the 6th over of the innings. During the 15th innings, De Kock smashed the ball for a four and a six off consecutive balls, giving him loads of momentum for the next over, dismantling the first four balls from Mendis with a six as well as three boundaries. After two overs, the Blitz managed to improve their score of 101 for 8 to a remarkable 133 for 8. De Kock managed to make 19 runs from 5 balls, and it didn’t take him long to get his century during the 18th over. De Kock finally fell during the 19th over with an impressive score of 158 runs. After this incredible performance, the Spartans were under the impression that it would be easy to make the necessary runs as De Kock surely proved it. However, this certainly wasn’t the case. Both Dean Elgar and Gihahn Cloete had a difficult time as the two openers, only finding a few boundaries due to edges. It was so bad that the third batsman wasn’t able to find a boundary from 17 deliveries and the striking rate for the Spartans at the halfway stage was a mere 7 per over. The Spartans had no way to cover from this as de Villagers was also bowled out shortly thereafter. There wasn’t much else for the Spartans to do after having six overs with no boundaries during the 8th innings. Cricket is growing at a phenomenal rate around the world, especially when you look at how female cricket has taken the world by storm. It’s for this very reason that we decided to take a look at the best female cricketers of 2018 that is making a remarkable impact on the sport. There is an ever growing list of female cricketers that are making a name for themselves in 2018, so let’s take a look at the best of the best. 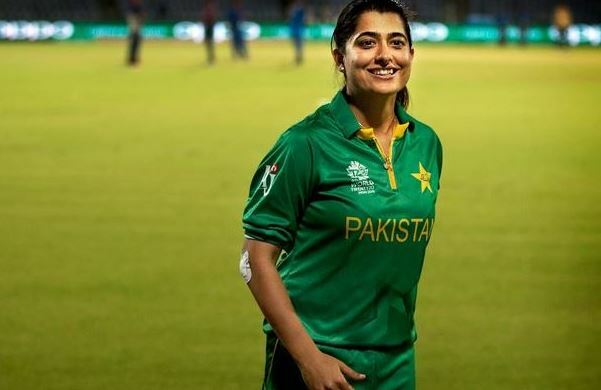 Sana Mir is a world-class cricketer for the Pakistan team and is also the captain of the squad. She is considered as one of the best female cricket players in the world and is currently ranked in 16th position according to ICC Players Rankings when it comes to female players. She became the captain of the Pakistan female cricket team in 2009 and is regarded as the best bowler in the squad. Siriwardene is the Ski Lankan female cricket team captain and is ranked in the top 10 of female cricketers in the world. She made her debut in international cricket in 2003 when she played against West Indies and has been a rising star ever since. She is best known for her bowling skills with a phenomenal 4-11 record which she claimed in 2005. She also accumulated a staggering 4-34 record in 2006 during the Asia Cap against Pakistan. Lanning is a renowned female cricketer for the Australian national female cricket team and is the opening batsman for Australia. She is also the youngest player in the female team to have obtained a century when she was only 18 years old. This incredible record was previously owned by Ricky Ponting at the age of 21. Mithali Raj made her cricketing debut in 1999 and made a whopping score of 114 in the same game. During 2002, she broke another jaw-dropping record where she scored a staggering 214 which was previously held by Karen Rolton with a score of 209. She continues to play an extremely important role for the Indian female cricket team thanks to her high-scoring capabilities. Stafanie Roxann Taylor currently plays for the West Indies female cricket team and is a phenomenal right-handed batsman with an off spin bowling ability. She has represented her female cricket team over 80 different times and initially made her debut back in 2008. She also managed to receive the ICC Women’s Cricketer of the Year Award back in 2011 and continues to be a valuable asset for the national team. Katherine Helen Brunt is a renowned English female cricketer who has managed to earn the female’s Cricketer of the Year award in both 2010 and 2006. She is widely known for her classic play style and aggressive bowling capabilities. She also received the Woman of the Match award in 2009 during the T20 World Championship, achieving 3 wickets for only 6 runs. Suranga Lakmal is currently in charge of the fifth Test against England and is undoubtedly facing his most difficult leadership challenge of his career. When he managed to lead Sri Lanka to victories against South Africa and the West Indies, he mostly had his first-choice attack backing him up, and he was up against opponents that seemed seriously vulnerable as well. However, England will provide a much more difficult challenge than the previous opposition he faced. They are brilliant at batting with spinning conditions, so much so that Sri Lanka is completely baffled at the moment as they didn’t expect it at all. England also has a sensational betting line-up all the way down to number 8, presenting an extremely difficult challenge to the captain. Lakmal needs to address a couple of weaknesses to increase his chances of winning the Test series against England, including lowering the potential runs that the lower order in the England squad can make. The hosts had the opposition at 134 for 5 and 103 for 5 during each innings of the last 2 Test matches. In fact, England’s partnership during the last wicket was worth 41 and 60. The best chance Sri Lanka has against the formidable England squad is for Suranga Lakmal to bowl during the lower order of England’s batsmen according to the captain. “England’s top five batsmen are always attempting to score runs rather quickly. Thereafter, they start to fully understand the pitch and can control the spinners much better. England also has a marvellous betting line-up. However, we can’t allow their tail end to continue making runs, and this is something we need to stop. We provides loads of overs for the spinners at the tail on the last matches due to the fact that the pitch perfectly suited them. However, we will seriously consider making a few significant changes during the next match to see if we can improve on it”, said Suranga Lakmal. Other weaknesses in the squad include Kaushal Silva who only managed to make 4 scores. He will undoubtedly be replaced by a more potent Danushka Gunathilaka. Another player that seems to be skating by recently is Niroshan Dickwella with an awful batting performance. However, he has managed to keep his head above the water due to his brilliant wicketkeeping. Lastly, there’s no denying that Kusal Mendis has also been rather poor in previous matches, currently having no fifties in the last 10 innings. When Hasan Ali, the world famous Pakistan cricketer, received the Best Bowler of the Tournament award after assisting Pakistan in claiming their first ODI title during the Champions Trophy tournament in 2017, everyone thought he was the one and for a good reason. He had the typical talent of a Pakistan pacer, the ability to tweak the ball sideways with ferocious pace coupled with the skill of using an old ball. He also provided an energetic wicket celebration which certainly made it stand out above the rest. Social media went absolutely bonkers, turning into the nation’s heartthrob in a matter of days. When Pakistan was visited by an ICC World XI cricket side a few months later, the adoring fans at the Lahore Qaddafi Stadium gave Hasan Ali a rousing welcome when he made his way to the bowling mark. The crowd’s roar was so loud that it instantly made journalists take notice of him inside the media centre. During 2018, however, Ali’s performance took a serious nose dive. He’s incredible ODI average of 17.04 took a serious crash to 32.06, giving up the top position for bowlers in the ICC rankings. In 2018, Hasan started with a mere 6 wickets for a total of 217 runs during four ODI matches against New Zealand. During the final series of 2018 against the same team, Hasan returned 2 for 59 and 0 for 62 in the UAE. He also featured in 2 England Tests during the summer, accumulating 6 wickets in 3 innings. His best figure at the time of 4 for 51 during the first innings were followed up by 0 for 58. This caused him to sit out the during the Australian Test series. There were loads of questions surrounding the line up for the New Zealand Test that followed. However, during Day One, with a sensational reverse-swinging delivery thudding the pads of de Grandhomme, Ali managed to answer them. He managed to quickly answer any remaining ambiguity regarding his selection the next day when he managed to send off Tom Latham on his very first delivery. The remarkable two dismissals summarised the story of his incredible ability to make the ball work in any given condition. During Day Three, when Yasir Shah offered a vital opening thanks to the Kane Williamson wicket, Ali managed to double the damage when he sent off Ross Taylor, the most experienced batsman in the New Zealand squad, with a deadly in-dipper, as well as Jeet Raval in a matter of 5 deliveries. Yasir managed to pick up another 3 wickets later in the evening, while Hasan wiped out Trent Boult and Sodhi to top of 4-wicket haul earlier in 2018, allowing him to claim a maiden 5-wicket haul. Hasan Ali will now face South Africa in a Test series, and the Pakistan team will need him to be on his best performance during the Test as he is an important cog in the team’s set-up for victory. The Pakistan bowler, Mohammad Amir, will not be participating in the two test matches against Australia next month. The left-arm fast-paced bowler, who only managed to miss one Test since he returned to international cricket in early 2016, looks like he’s paying the price for his poor ODI performance during the 2018 Asia Cup, which resulted in his exclusion from the squad that will play against Australia. Amir went wicketless in the last 5 ODI’s and only managed to pick up 3 ODI wickets after the Champions Trophy final in 2017. He was extremely impressive in the 3 Tests played earlier this year where Pakistan faced England and Ireland. Amit managed to take 12 wickets with an average of 18.40. However, his bowling average in Dubai is far less satisfying where he only took 7 wickets with an average of 56.42. There are several notable changes to the Pakistan cricket squad which was announced after their humiliating exit at the 2018 Asia Cup at the hands of Bangladesh, denying them a shot for the title on Friday against India. Their performance during the 2018 Asia Cup tournament was subpar. Numerous batsmen for Pakistan struggled to make runs, the fielding standards experienced a significant dip, and the spinners were extremely ineffective. Shan Masood was included in the Pakistan squad during the 2018 Asia Cup but didn’t get the opportunity to make his debut. He is unfortunately not part of the upcoming Test, while Imam-ul-Haq, Fakhar Zaman, and Azhar Ali are designated to share the opening duties. Usman Salahuddin is also part of the squad after travelling to England to play one match, while Haris Sohail is also part of the squad against Australia. For the first time in more than a year, a key inclusion is that of Mohammad Rizwan, a reserve wicketkeeper. After Sarfraz Ahmed took over captaincy duties full time in all three formats, he managed to play every single international match in all three formats and has been the only wicketkeeper with the Pakistan squad. This now changes as the team prepare for their clash against Australia. 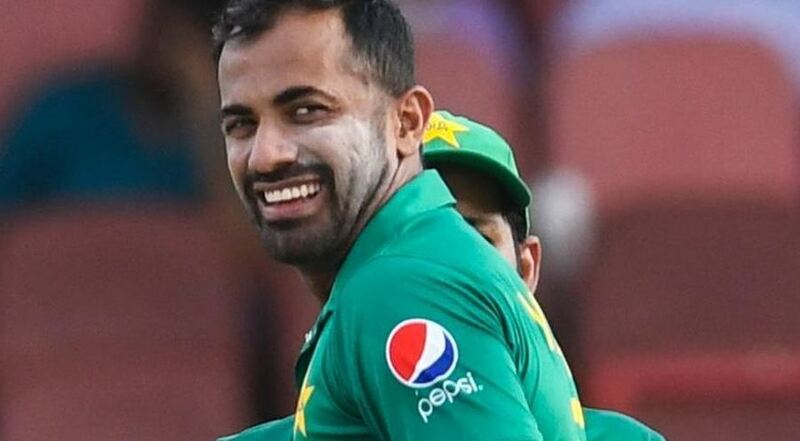 Wahab Riaz is back in the squad after questions were brought up over his fitness during his tour in the UK, as well as a host of other spinners, indicating the nature of the cricket pitches that the Tests series against Australia will be played on. There’s also no place for Mohammad Hafeez who continues to have severe problems with his bowling, making him an unreliable option for the upcoming Tests. Mir Hamza, the left-arm medium-pace bowler, made it onto the squad as he picked up a total of 278 wickets in 56 first-class games at an average of 17-74. The first Test will start on 7 October 2018 in Dubai. The last time Australia paid a visit, Pakistan managed to win both Test matches. However, Australia managed to repay the favour at home in 2017, beating Pakistan 0-3. 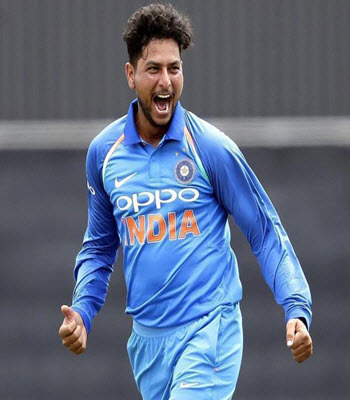 Kuldeep Yadav has finally be awarded a great gift from the BCCI, also known as The Board of Control of Cricket in India. The player, who was in the Indian squad previously, was given a place to play during the next three matches in the upcoming series against England. This follows him proving his skill in the previous months through one of the best ways – showing hos consistent skills throughout each match and determination to win. Other players, such as Jasprit Blumrah, did not make the cut for playing in the highly anticipated matches despite impressing the board during the South African series. Although, this considerably happened after Blumrah suffered from a thumb injury that is still in recovery after the T20I match against Ireland this season. Though, he is still in consideration for the second upcoming test. On the other hand, Shardul Thakur will remain in his place for the developed test squad. Other players that would’ve been considered are not being included due to injuries. One being Bhuvneshwar Kumar, who receive a lower back injury during the recent third match against England. Although, his injury is being accessed by the BCCI before a final decision whether the player will be able to play for the test squad or not. The well-known wicketkeeper for the Indian team, Wriddhiman Saha, has not been named due to a thumb injury, but depending on the player’s status, that might be changing soon. Though the absence of these prominent players, others have finally been able to have a chance to shine and gain attention for their names. One being Dinesh Karthik, who was given a position in the test squad due to Shaha’s thumb injury. Though, Karthik has a history of being in the tests squads previously but was run out when playing against Afghanistan. Many of the experts who have been on the test squad before, like Ishant Sharma, Ravindra Jadeia, and Cheteshawr Pujara are confident that they will be able to win the test series, which will be the first time since 2007. From all accounts, it seems like this upcoming match will show an interesting playing style from India. After Yadav and the other players received their spots, there are two remaining. This has caused a three-way internal battle of showing off skill and dedication between Murali Vijay, KL Rahul, and Shikar Dhawan do two of these players can hopefully receive a spot. Out of all three, many experts are assuming that Rahul’s history if having impressive form as well as good playing techniques will easily put him in the place of one of the remaining spots. While Pujara may lack confidence compared to the former’s skill and reputation, his main hope is his history of playing country cricket which shows his experience. The first match against England is scheduled to be August 1st. While the first test match will be played at Birmingham, the reaming four are expected to be hosted at Lord’s Trent Bridge, Kennington Oval, and the Rose Bowl. The new lineup for the Indian test squad is looking to be one that can bring home the win. The England women’s team impressive their loyal fanbase as they were able to get their limited over trophy after playing as hard as they could during their matches this summer. On the other hand, New Zealand has gifted a depressing 123-run loss while at the second ODI at the Derby. Though watching the game just proves that it was a one-sided success as players from England, such as Heather Knight, ensured that her team would have a 2-0 win which guided England towards the path of finals. New Zealand was chasing an unrealistic target of 242, which was shown as the team fumbled and struggled while on the field while some of England’s star players of the night, Katie George combined with Katherine Brunt, who worked together in perfect unison to score a total of three wickets. Although the surprises didn’t end there, NZ was then put against New England’s spin attack which helped the team gain its flawless victory. Online cricket betting sites took notice of their success and that is reflected in the favourable odds, and for punters wanting to place bets on cricket, there are many top rated cricket sites for just that. For a while this season, New Zealand did not have the best record. It was made even more evident as the team, lost six wickets for 17 runs. Before the match even begun, it was assumed that it would end quickly and without a hitch for England due to NZ playing history this series. Though, this may have been the goal to finish the match before the highly-anticipated match between France and Belgium semi-finals game. Though throughout the series, England chanted their mantra loud and clear as the team has stated that football is finally coming home. While many wouldn’t want to in the first place, there’s no way that anyone could ignore the final set during the England match. A star layer whose name has been seen more recently with England’s success is Sophie Ecclestone, who received the title of being the player of the tournament due to her calculated skill and precision. Ecclestone proved to be a challenge for the New Zealand players as she started off with a strong attack which gained some points for England as she claimed two wickets. Another standout player was Katie George, who just seems to be adding more and more fame to her record, and this match was just another chapter. She created history with her career as she led with figures of 3 for 36. With the fumble of Sophie Devine did cause a small issue to form. Other players on the team made up for it, especially Amy Satterthwaite, who played skilfully on the field. While England did ultimately have the success in the game, it is undeniable to state that they went out any issues. The team did face a few shortcomings, such as having the wrong footing or even having sluggish movements which could have created openings for New Zealand if the latter was on their A game of scoring a win. Despite the few fumbles, none of the shortcomings seen by England could compare to what happened with New Zealand, which is enforced by their impressive wins and upgrade to playing for the finals game this summer.